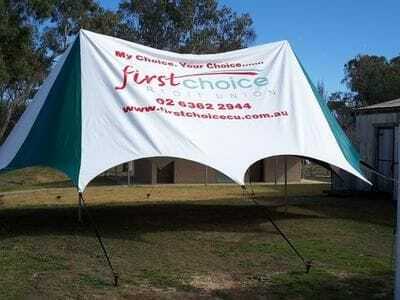 Borrow A First Choice Marquee for your next event! Orange’s weather is unpredictable! It could be sunny one day and snowing the next. Do you have an outside event planned? Are you worried about the weather? Do you need to protect your stalls and valuable belongings! 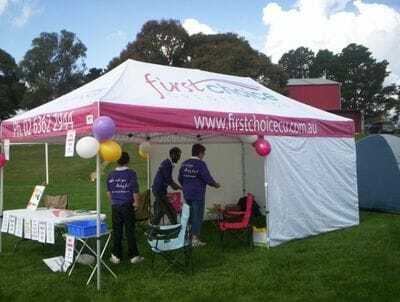 First Choice Credit Union have a 12m x 7m marquee and a 6m x 3m marquee that we are making available to schools, clubs, community groups and other organisations to use at their upcoming events. All we require is a fully-refundable $100.00 deposit and you can borrow the marquee for your next event. If you have an upcoming event let us know as soon as possible so you don’t miss out! To reserve a date please complete the attached form or contact First Choice Credit Union on 6362 2944 or email mcdonaldd@firstchoicecu.com.au.